To create a usable website is more than just coming up with a good design and having a lot of content. Providing sufficient information is very important, but users need to be able to access the information they need quickly. If a website is difficult to use, people leave. If the home page fails to clearly state what a company offers and what users can do on the site, people leave. If users get lost on a website, they leave. If a website's information is hard to read or doesn't answer users' key questions, they leave. For Intranets, usability is a matter of employees productivity. Time users waste being lost on your Intranet pondering how to find information is money you waste by paying them to be at work without getting work done. 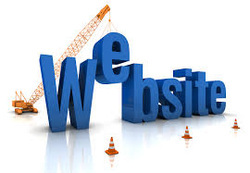 On customer facing websites and e-commerce websites, lost users on your website are lost customers and lost sales. We will design and implement a solution to ensure that your users can find information on your internal and external websites quickly and easily. Please call us to discuss your particular challenges and to schedule a free, no obligation consultation at (650) 474-0955.